People have been at the mercy of weather since they first learned to cultivate plants and raise domesticated animals. A single hailstorm can destroy a crop. Alternatively, enough rain at the right time mixed with sun will ripen plants and create an abundant harvest. Because it is a matter of life and death, people have tried to understand weather patterns throughout history. Interesting theories of weather phenomena have since evolved from the notion that supernatural beings were attributed to atmospheric conditions and could bring suffering and death. The scientific study of the atmosphere was born more than 2,000 years ago in Greece, as philosophers realized that weather patterns had more to do with natural processes than with the intervention of gods. ""Atmosphere"" tells the story of the atmospheric sciences, beginning with the recognition that air is a material substance - a mixture of gases - and describes the unraveling of its chemical composition. This new resource examines the invention of the barometer and thermometer, which are the most basic of meteorological instruments, and how they came to be calibrated by Daniel Fahrenheit and Anders Celsius. 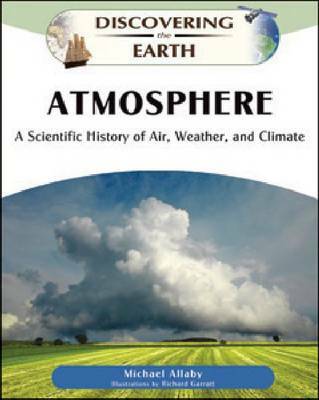 Complete with full-color photographs, sidebars, and further reading, ""Atmosphere"" is an essential book for students interested in the atmospheric sciences.